What is the best way to kill roaches? The best way to kill roaches is to eliminate them at the source. The key to exterminating small roaches is to kill the entire roach nest. If you just spray and kill the individual roaches that you see, you will continue to see roaches scampering around your home looking for food and water, and will most likely begin to see more of them and more frequently as they breed and the nest continues to grow. Combat® products provide the source kill you need and are a guaranteed solution! First, do a little housekeeping: Improve sanitation, reduce clutter, and eliminate sources of food and water in the open. 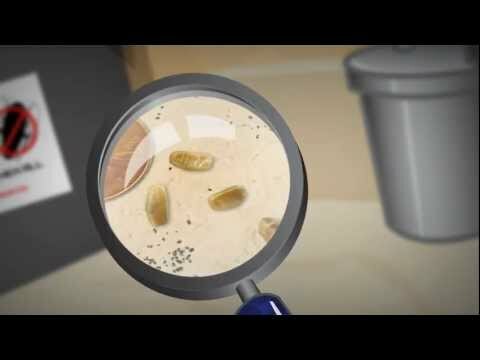 These simple steps will help in eliminating a roach infestation and will help protect you from future infestations. Use Combat® Source Kill Max Small Roach Baits in common areas where you see roaches and Combat® Platinum Killing Roach Gel in cracks and crevices or places where roaches might enter the home. Roaches will take the bait back to their colony, sharing the insecticide with other roaches, and killing the entire nest. Work to keep them out! Sealing any areas where roaches could enter from other units in multi-unit buildings and by checking items such as shipping boxes, school bags and grocery bags for cockroach hitchhikers before bringing them into your home.